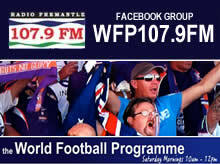 Anyone interested in playing Masters women’s football at the Gold Coast tune in to 107.9FM next Saturday August 25. Events Queensland Manager Cameron Hart will join the World Football Programme team for a chat at 10am about the Pan Pacific Masters Tournament in November. If you are 30+ and would like to participate along with the WA ladies, we have futsal and 11 a side teams competing. Contact Subiaco’s Mhairi Glover- MHAIRI.GLOVER@woodside.com.au or 0417170275. The Perth Strikers are the most successful WA sports team to compete interstate and have won bronze, silver and gold multiple times at Australian and Pacific Masters tournaments. The squad invite players from any level to participate so give Mhairi a call.